Surfing in Tamarindo is Perfect for Beginners or Advanced Surfers. Tamarindo is the most popular and well-known “surf mecca” in Costa Rica. With warm waters all year round, great waves, and a professional instructor with unlimited patience to teach you, a surf lesson in Tamarindo is a must. Surfing in Tamarindo is perfect for beginners getting on the board for the first time and also offers advanced surfers great surfing opportunities like the Tamarindo Estuary River break and reef breaks like Witches Rock and Ollie’s Point. Start your fun excursion when you are picked up from your Tamarindo hotel and taken to the beach. You start your lesson with a demonstration on the beach, where your instructor will show you the correct body and board position, how to get in the water, how to paddle, and other fun tricks like how to do an Eskimo roll, duck dive, and line up and sit on the surfboard. After that, head into the ocean with your bilingual certified instructor who will help you catch a wave! Tour includes: Bilingual guide, rash guard, surfboard. What to bring: Sunscreen, swimsuit, towel. Features: Professional, bilingual instructor. 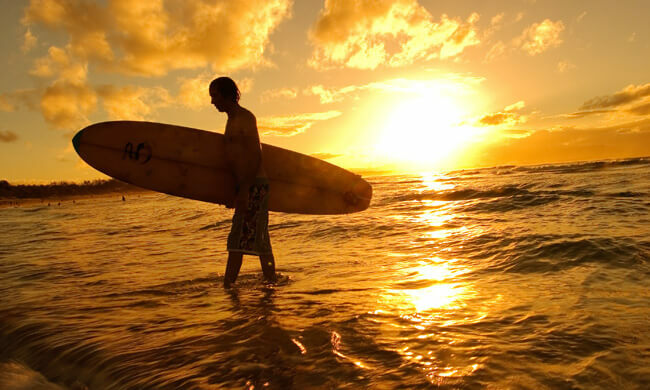 The tour provides rash guard (surf shirt), soft top surf board, transportation (from all hotels in Tamarindo). All surf instructors are certified lifeguards.